Original soundtrack of the psychedelic italian horror film released in 1977!! “Suspiria” is a must-see cult classic for those of you with eyes. It is full of intense, otherworldly visuals that will strike a fear deep in your heart. Goblin, referred to as ‘The Goblins’ in the film’s opening credits, composed the score in collaboration with director Dario Argento. 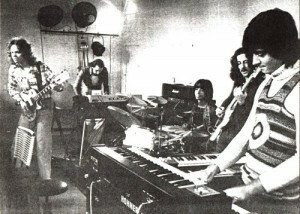 The music itself is a blend of heavy, late 70’s prog and hallucinatory noise. Sometimes melodic, sometimes disorienting, the sounds herein are best listened to late at night, preferably not alone. If you dig this Goblin also made a soundtrack to Argento’s “Deep Red” with similar vibes. Find yourself a copy and freak out! 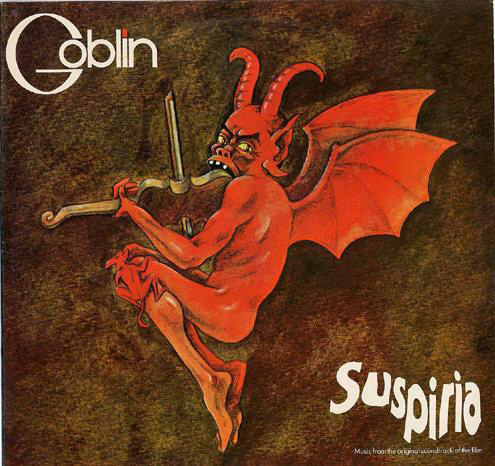 This entry was posted in Reviews and tagged From the Vault, Goblin, Soundtrack, Suspiria on April 6, 2013 by Bryce.